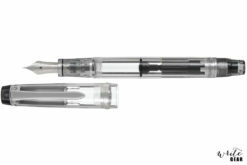 The Custom 823 is the truest ‘demonstrator-style’ pen with the largest ink reservoir available by Pilot. 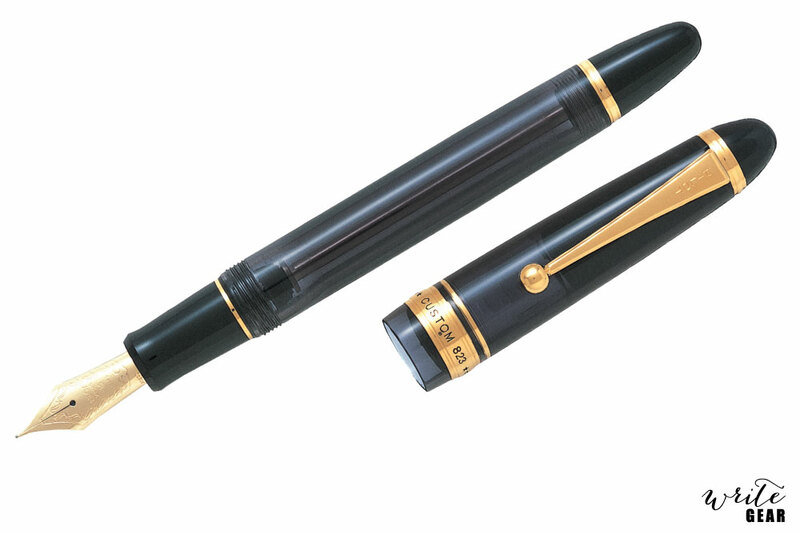 The black barrel with stunning gold accents lends an air of distinguished sophistication to this exceptional fountain pen. 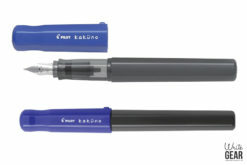 The pen is refillable for continued use with Pilot’s bottled ink through a unique vacuum plunger system to ensure a long lasting and smooth writing experience. 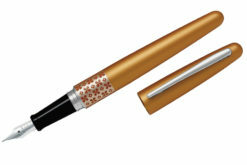 Available with expertly crafted 14-karat gold nib in fine. The Custom 823 arrives in a striking presentation box complete with a glass bottle of Pilot ink. 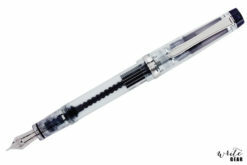 I have bought this pen elsewhere before Writegear was able to stock it. This was a Pilot SA issue, and not a South African retailer issue. That being said, this pen is an extremely beautiful writing piece. 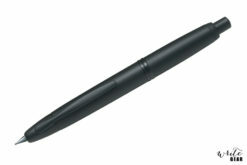 The nib is beautifully accented and truly holds a dominant position as you lay ink on the paper. Smooth as evert Pilot known to man is, and made with such care and detail. They are by far my favorite manufacturer. If you are thinking of pulling the trigger, do it. You will not be disappointed! I asked Writegear if they could specially order this pen back in November 2017. Jamie got back to me very quickly saying that would look into getting the pen ordered specially ordered for me. 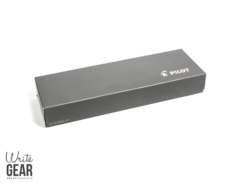 At no fault of Writegear, the pen had finally arrived in April 2018, the delay being to getting it shipped and imported from Japan and they had managed to get it at a very good price. The pen writes like dream. It is extremely smooth. Almost no feedback. The vacuum filling system is amazing, the ease (once I figure out how to use it) of getting ink in and the amount of ink the pen can hold is quite large.